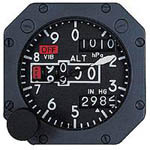 An altimeter is an instrument used to measure the altitude of an object above a fixed level. The measurement of altitude is called altimetry, which is related to the term bathymetry, the measurement of depth underwater. Once submitted, we will try and place you in contact with a suitable Altimeters supplier within 48 hours. 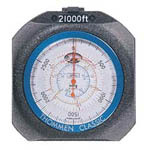 Model 5000 Altimeter from Taskem Corp.